Four Indiana teenagers were killed Wednesday night after their car crossed the median and into the path of a minivan in what police described as a “tragic” crash. A fifth passenger in the car and a family of four in the minivan were all taken to hospital after accident, in Morgan County, but none of their injuries were described as serious. "It is devastating," Indiana State Police Sgt. Curt Durnil told NBC affiliate WTHR. "It's absolutely tragic that we have to make that notification. You know any time of the year is awful … around Christmas and New Year is absolutely horrific for the families. It's tough on these troopers out here that were here as well but our prayers and thoughts are with the families right now these victims." Police said the four victims were in a 2002 Ford Taurus that crossed over the median and into the path of an oncoming 2005 Honda Odyssey on State Road 37, just north of Cragen Road, at about 7 p.m. ET Wednesday. Police identified them as 17-year-old Mathew Chambers, who was driving, along with 18-year-old Lucas Kenworthy, 17-year-old Noah Tex, and 17-year-old Riley Hurst. All were from Brownsburg, Indiana. 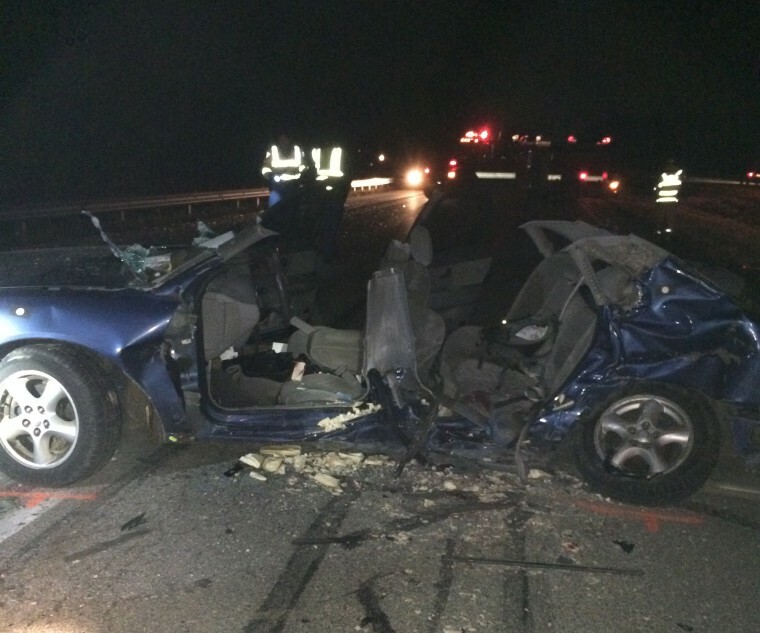 The survivor in the Ford Taurus, 22-year-old Ryan Rickenbacker, also from Brownsburg, was the only one in the vehicle wearing a seat belt. The injured occupants of the minivan were two adults and two children, all from Bloomington, police said. All four were wearing seat belts.